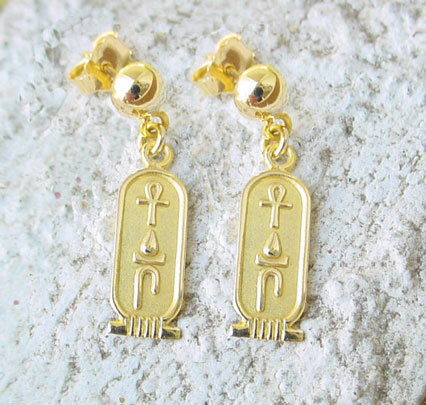 18K Life, Health & Happiness Cartouche Earrings The Cartouche, also known as REN, or name amulet, was a length of rope tied with a double knot at the end. The king or queen's name placed inside the rope represented their rule over the universe. The symbols are for Life, Health, and Happiness. It measure about 1 1/4" X 1/4", including posts. The gold earrings weigh about 4 grams . 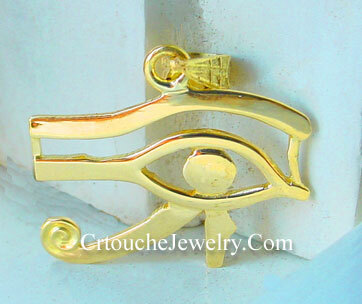 The Egyptian 18k gold Horus Eye Pendant-Also know as the UDJAT (meaning eye), it was the eye of the falcon-god Horus, son of the goddess Isis. The Egyptian pharoah was thought to be the god Horus incarnate. 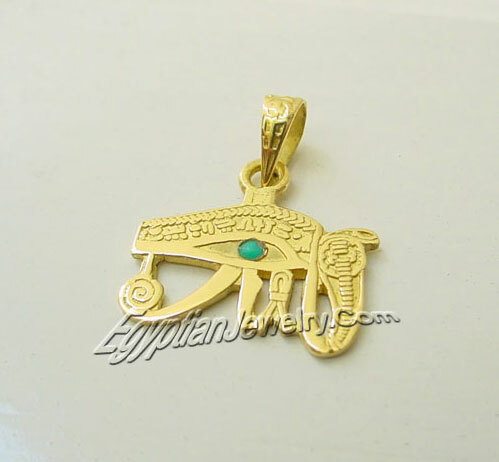 A symbol of perfection and well-being, it was a powerful amulet worn for protection against evil in ancient Egypt. t..
18k Gold Scarab Lapis Scarab Ring. Also know as the UDJAT (meaning eye), it was the eye of the falcon-god Horus, son of the goddess Isis. The Egyptian pharoah was thought to be the god Horus incarnate. A symbol of perfection and well-being, it was a powerful amulet worn for protection against evil in ancient Egypt. 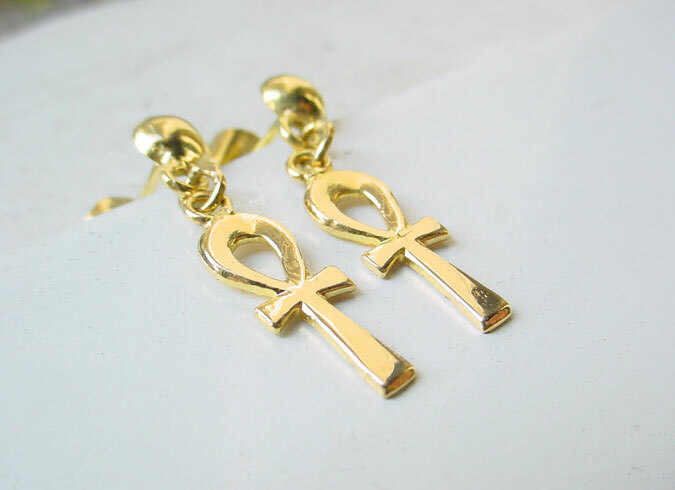 It measures 1" X 7/8"
18k gold ankh earrings - The Ankh was an ancient Egyptian symbol of eternal life and immortality. 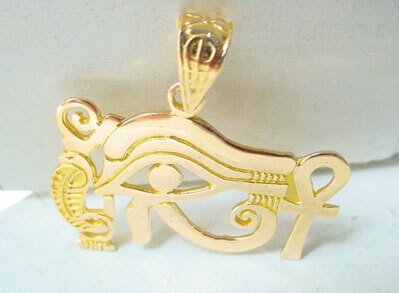 The word ankh also means "mirror" in the ancient Egyptian language, as in a mirror to the soul. The 18k gold earrings measure 1" X 1/4", including posts. It weighs about 3.2 grams. Beautiful key of life ankh collection.